Hey, why isn't Express listed in there? Oh, maybe because I've already placed THREE orders that are on their way to me. OK, I'm lying. Only two are on their way to me, the first package already arrived today, so I can share those try-on photos with you. This is hot off the press, so you'll have to excuse the post-Pilates hair and workout leggings. And I have crazy eye in the second photo because I was staring at a certain beagle creeping in the background. So, the plaid portofino was a lot more sheer than the rest of my portofinos. I have a dot portofino, a white portofino, and the ivory with contrast piping, and I don't wear a cami under any of them. I will have to for this one though. Not my favorite, but I still love it enough to look past that slight negative. The diamond print portofino is THE BEST! I really like this one a lot. It's definitely something that will easily dress up or down. It's the normal weight of the traditional portofinos, and I love that the print is just a touch preppy. This will be on repeat, I know it. And in case your body is shaped like a model, I figured I'd post the stock photos for you. As soon as my other packages arrive and I am able to try stuff on, I shall share those goodies with you, too! 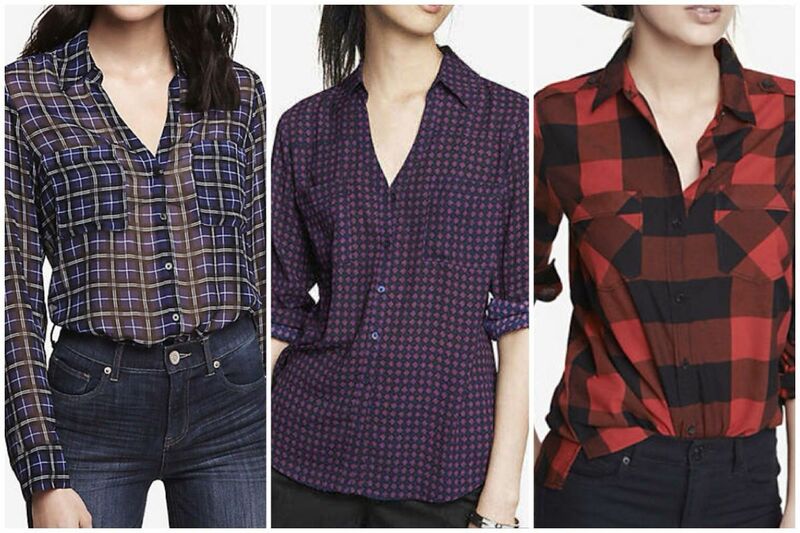 Still not convinced you need Buffalo Plaid? 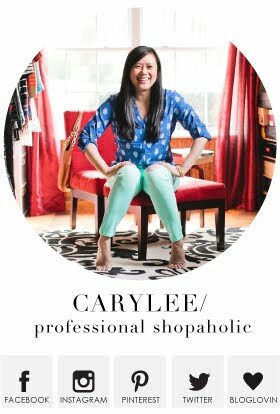 Hop over to see Shay's Pinspiration and that may change your mind! So, spill it. What are you shopping for this weekend?! 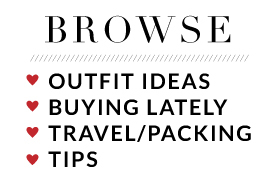 I just updated my post to link to yours today since you have some excellent try-on notes. I think I already spent all my money on the Express sale! LOL. I got my first order yesterday just like you and am awaiting TWO MORE. I don't think it will all work out but I have to try. Lots of jewelry thought and I'm pretty sure most of that will fit! Fall clothes are the absolute best! Love the pieces you've picked to highlight! Happy Friday! I'm started to get excited about wearing fall clothes! The red checked boyfriend top is on my wishlist and I think it would look great with leopard. 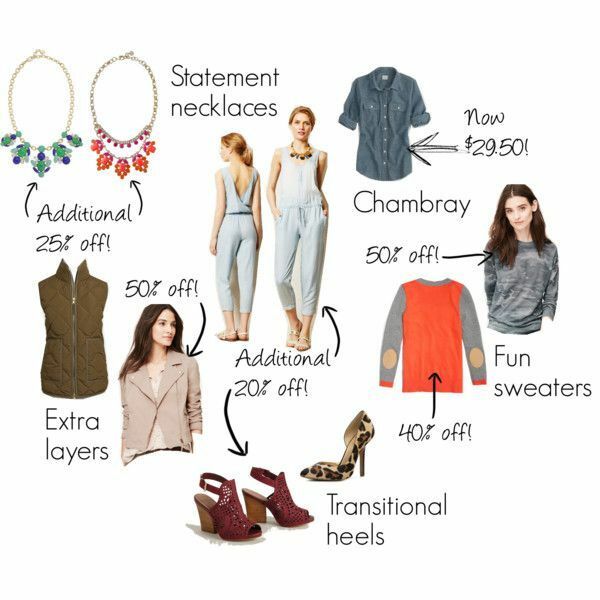 Love your inspiration board of sale picks! Have a wonderful weekend! Yes, leopard is a combo I certainly want to dab in with the plaid top! I love it so much! Thank you! I can't wait to hit up some labor day sales this weekend! 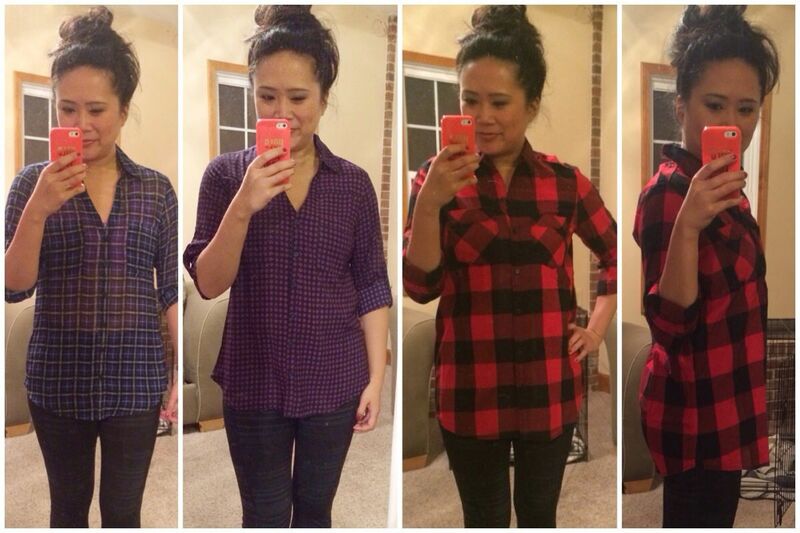 I am looking forward to adding a few plaid tops to my fall wardrobe! Thanks for the suggestions! Yay - Hope you found some awesome things! I am so excited to dress for fall!! Great sale pics, I am definitely going into Express this weekend to pick up some portofino blouses and a few pair of jeans! Enjoy the Holiday Weekend!! <3 Ada. The buffalo plaid is not actually a portofino! It's a different material, and it's got a longer, more relaxed fit - which makes it perfect for leggings! Pretty excited to wear it again and again! Thanks! Hope you're enjoying your vacation! Woot woot on your sale finds! I need to head out and hunt some of my favs down which have been sitting pretty in the shopping bag online. Love the red plaid shirt.. It's the perfect red plaid - seriously. You need it! Yes, the material is the perfect weight. Very happy with it! haha, i just had that camo sweater from the loft in my hands (and in the dressing room) the other day!!! I haven't bought it yet, but I still love it!!! 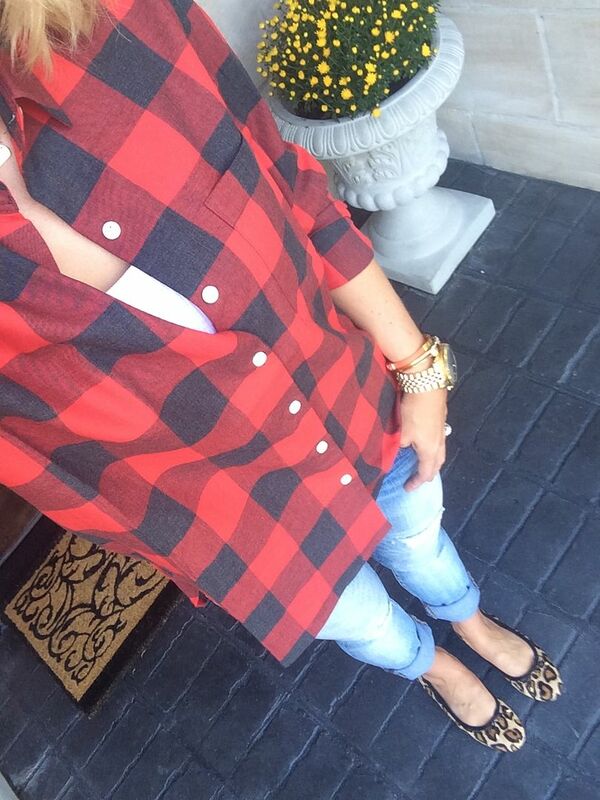 Love your buffalo plaid! My sister got a cardigan/wrap last year in buffalo print and I wasn't sure how I felt about it for me. I think it's going to gain major popularity this year though, and I do love it with leopard print!! Great purchases! Looking forward to seeing what else you get! I reaaaaally want the camo sweater. I think Tara from Mix and Match Fashion has it (or something super similar) and I always covet it. I am just wary bc I don't wear my camo tops as much as my camo bottoms. Hmm.. Conundrum!! Thanks, lady! I appreciate the opportunity! It's so odd how I am planning for fall even though it's still pretty summery out! I think I'm in denial because I am sick of sweating! Hope you find your perfect fall wish list items! Thanks for reading! Yes, absolutely! I love it! Highly recommend!! You are my hero! I wish I had that kind of motivation this weekend! I really need to list some stuff on ebay, stat! Haha! That's awesome! Toilet paper is certainly a necessity and not that cheap, I may add!